SAFEPOST, “Reuse and development of Security Knowledge assets for International Postal supply chains”, is a four year Integration project addressing the FP7-SEC-2011.2.4- 1 International Postal Supply Chains. The project started on the 1st April 2012 and is funded by the European Commission DG Enterprise and Industry. 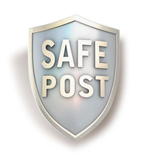 The aim of the SAFEPOST project is to further raise the current level of postal security by integrating innovative detection and screening solutions. SAFEPOST will provide the necessary and sufficient security level to satisfy evolving international regulations and standards while efficiently supporting the complexity of the evolving postal services market across Europe. Very importantly, it will do this without increasing costs, as the improvements in processing time will more than compensate for increased screening requirements, both in terms of elapsed time and overall distribution cost. Starting from the perspective of the partner postal operators, the project will use a cost-benefit method to identify the main security gaps and will describe security measures to maintain or augment the efficient and secure operation of these posts. After making an inventory of security gaps these will be developed into generic postal security models which will be integrated into a European Security Framework for Postal Supply Chains, which will enable postal operators, customs and other relevant actors to securely exchange information related not only to security but also optimization of postal flows. A Postal Security Platform facilitating interoperability and integration of solutions across all domains.